Ahhh... nautical chic. In case you hadn't noticed, this is one of my absolute favourite looks. I tend to err on the side of more subtle nautical, mainly of the Breton variety, but I do so love the sailor look in all levels of extreme. 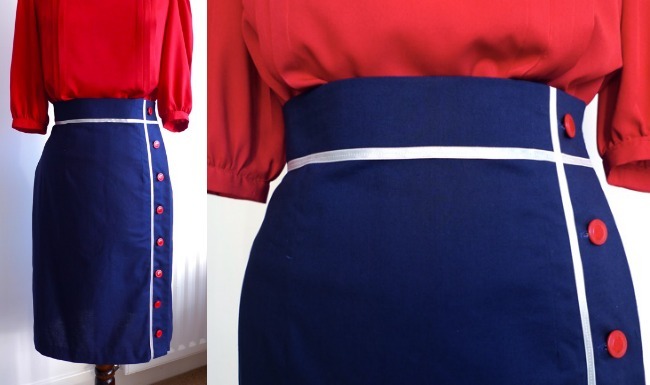 So, if you share my passion, which sewing patterns might you want to make? Isn't this a stunner? 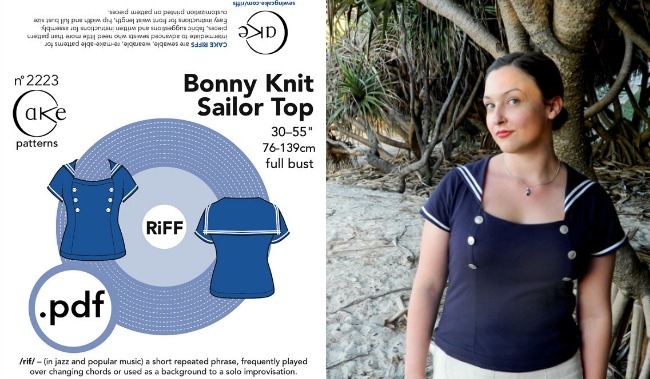 I pre-ordered the Bonny Knit Sailor Top from Cake Patterns as soon as I saw it, and it's inching towards the top of my "to sew" list. Designer Steph's version is just perfect. 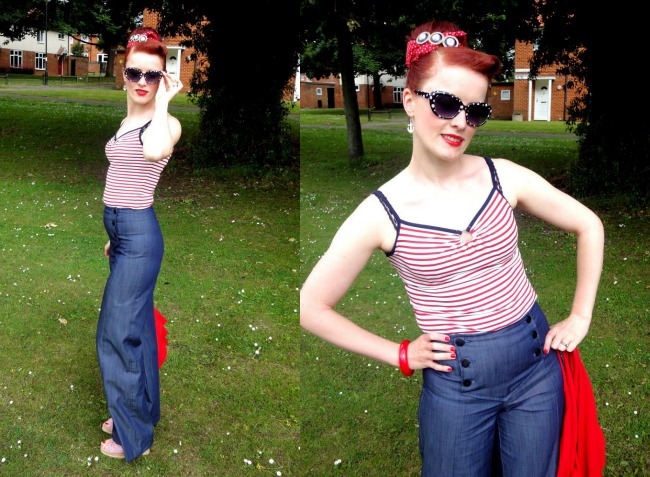 Burda 8488 makes a great pair of sailor style jeans, seen here made by Beatrice from Butterflies and Hurricanes. Want! Sailor sewing patterns of the vintage variety abound on the likes of ebay - such as Simplicity 1011 (which long term readers may remember as my former blog header) and this one (available on ebay at time of writing). 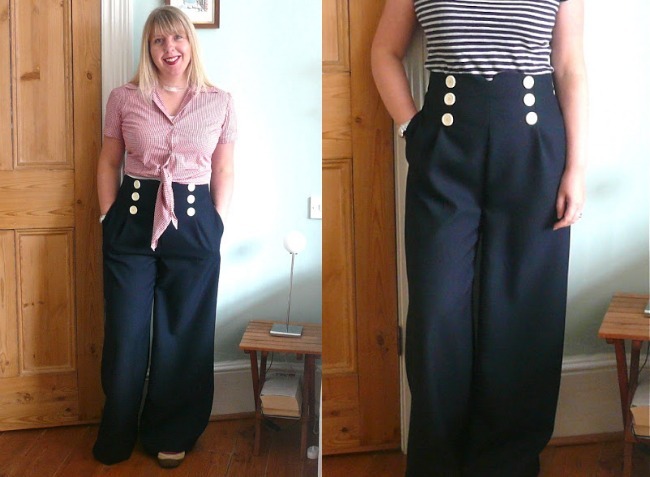 More trousers, this time Simplicity 2654 made by Handmade Jane. Stunning or what? The Sailor Girl Playsuit by Wearing History is seriously cute. Perhaps a bit full on for me, but swoonsome nevertheless. 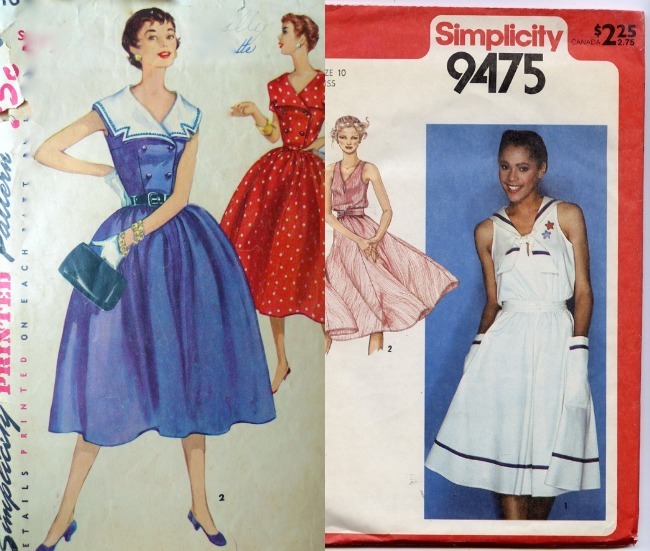 Have you seen any other nautical chic sewing patterns we should know about?